Testimonials showing some of our guest’s written statements extolling the virtue of our establishment. Just want to say an absolutely huge THANK YOU – to you and your wonderful team for pulling everything together so seamless last week Thursday. Your professionalism is extraordinary, from your planning to execution. I have had nothing but compliments on the décor and food – WOW! Many many many thanks for everything, it was wonderful. What a wonderfully warm and welcoming place to stay! After a long days travel we were met with kindness, an amazing dinner and a comfortable room. We will be recommending you! Faultless as always – I love coming here, I don’t think there’s a better place to stay! Back here & as usual a marvelous team, amazing kindness and smiles. Food is great! Merci, Merci a tous and hopefully see you again. Paradise on Earth, as always a great visit! We had a most delightful stay, we were treated like VIP’s. The staff is very professional and friendly. The rooms are spacious, clean and stylishly decorated. We enjoyed the garden very much with all of the bird life and Koi. We will not hesitate to recommend this establishment to all persons who enjoy a peaceful place in the middle of the hustle and bustle of the area. We just want to say thank you to you and the staff for the excellent service we received from you all. 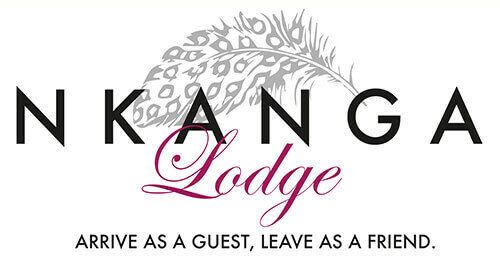 We really enjoyed our stay at Nkanga Lodge. Special compliments to the chef, the food was delicious! We want to say thank-you! Dankeschon for the delicious food! Takk for the six huge bottles of sweet white wine! Merci for the unforgettable time! We arrived as guests about 4 weeks ago. And now it feels like leaving our family! We will never forget our time at Nkanga Lodge and will miss you all! I’m back!! Thank you for the hospitality and having a great time. Always nice to have a home away from home! Thank you for the fantastic welcome to South Africa! We were there for a 2 day conference, hosted by Karcher SA. Arrived am 09-02-2017 and left 10-02-2017. My personal experience was very very good. Very clean rooms and amenities. The snack platters were Great. Lunch was top class. The rump steak and side dishes that were served at the braai last night was stunning. Breakfast was equally good. A great venue to host a conference as it is not crowded by many conferences at once. Well done Karen and the team. Only issue was wifi was not working at room no 17. However backup wifi was available at the conference room which was great. I really recommend this venue to all as the safe and friendly atmosphere is conducive to hosting a good conference. The group was more than satisfied with the service they received. Everyone complimented the accommodation, food, friendly service and overall efficiency! I want to thank you sincerely for all you have done to assist us. We look forward to hosting the next event with you. I’m just dropping this email to say thank you for Saturday, you did everything exactly the way I had requested and you went the extra mile to accommodate me and my guests. It was an absolute pleasure spending the afternoon there and please send my compliments to the chef she did an exceptional job with the food. You have and amazing team there and you too were absolutely amazing. Jane, to you and your team thanks again for your awesome warm hospitality. Per and I missed saying goodbye this morning at breakfast – but I’m sure in time our paths will cross again. Your facilities and service is excellent and to a very high standard – personally you can add the 5th star to your signage we think! Thank you again for all your support – it has been great! Thanks for having us. I must commend you on your service and awesome response to our plight. We do a lot of these and none are as organized as you. This has been our most successful mobile studio this year and we intend to grow it more. Thank you for your wonderful service and exceptionally high standard. Absolutely stunning venue and they always go above and beyond with their social responsibility. Thank you for caring and for making a difference in the fight against cancer. My personal experience was very very good. Very clean rooms and amenities. The snack platters were Great. Lunch was top class. The rump steak and side dishes that were served at the braai last night was stunning. A great venue to host a conference as it is not crowded by many conferences at once. Well done Karen and the team. Only issue was WIFI was not working at room no 17. However backup WIFI was available at the conference room which was great. Thank you so much for Saturday it was very enjoyable, your two ladies who were assisting were very professional. What a stunning setting! Friendly staff! We had a great 60th party with great food, drinks and top class service. The venue is set out beautifully and everything was run so well by management and staff! We’ll be back and we highly recommend! Such a beautiful place my brother and his wife got married at Nkanga and any other place would have been imperfect… I would highly recommend Nkanga Lodge.